A quick, easy, tasty Fruity Prawn Stir Fry with lovely fresh vegetables all on the table and ready in less than 20 mins. Gotta love a stir fry and I make one at least once a week because they are super quick and can be easily varied by using different vegetables, protein and starch. For today’s yummy Fruity Prawn Stir Fry, my protein choice was some frozen raw shrimp that I had defrosted, a few cups of kale slaw vegetables (which is handy stir-fry bag mix I buy of shredded kale and broccoli stalks) I also julienned some carrot for a fleck of different colour in the stir-fry. If you haven’t yet got a julienne peeler in your cutlery drawer, you really should add one, they are super handy for quickly adding some veggie strands into stir-fries or salads. That fruity sauce uses soy sauce, ginger, garlic fresh chilli and dried apricots. 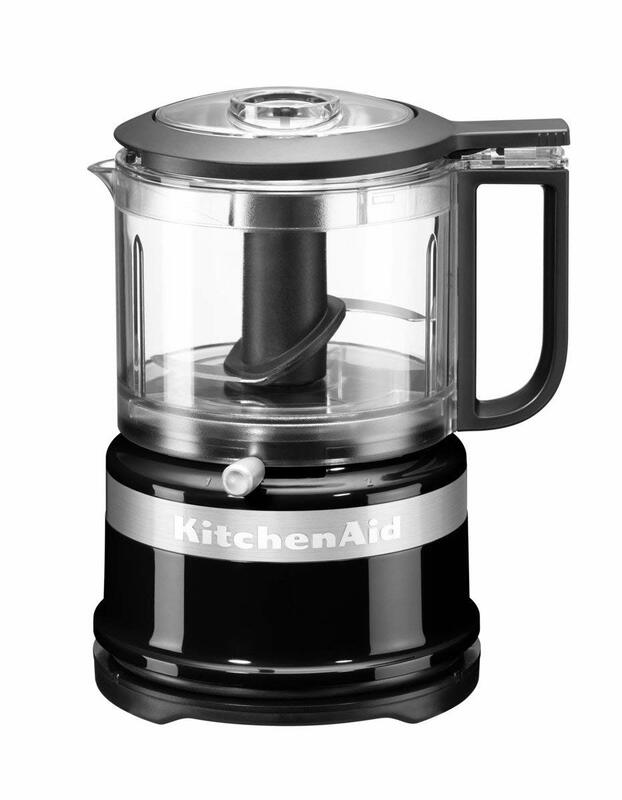 All cleverly pulsed in my KitchenAid Mini Food Processor, add this into the stir fry for an amazing burst of flavour through your stir fry. 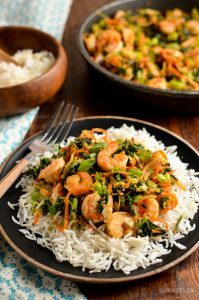 This Fruity Prawn Stir Fry would pair perfectly with noodles, rice or even this delicious Egg Fried Rice or if you want to go a bit further with the speed foods, you could serve alongside this yummy Egg Fried Cauliflower Rice. I served this with some simple steamed Jasmine rice. 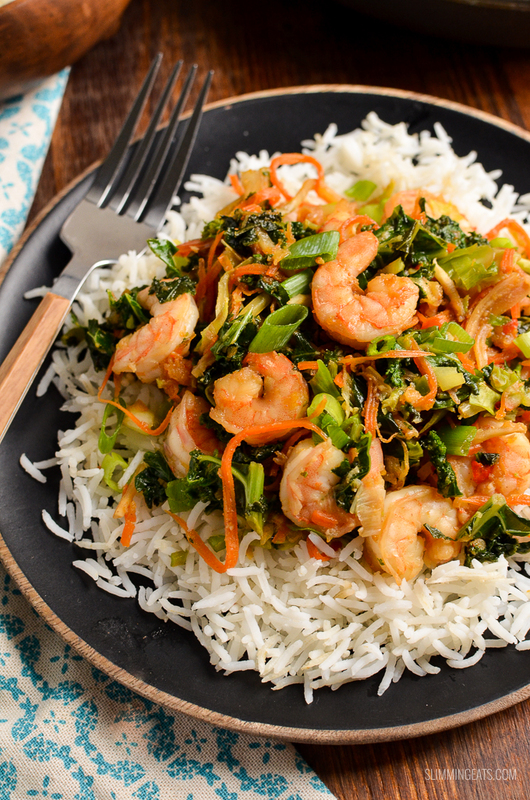 Love easy quick tasty meals like this Fruity Prawn Stir Fry? Check out some of these. 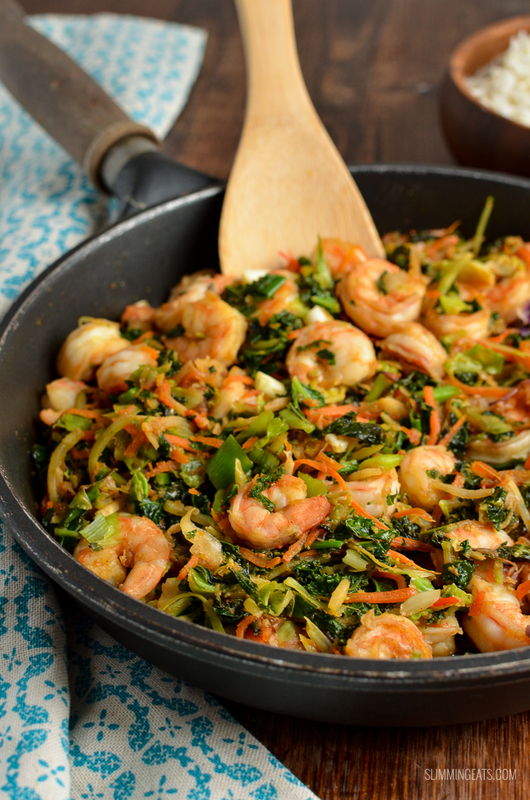 What Kitchen Items do I need to make this Fruity Prawn Stir Fry? A quick, easy, tasty Fruity Shrimp Stir Fry with lovely fresh vegetables all on the table and ready in less than 20 mins. Add the soy sauce, water, apricots, Chinese five spice, ginger, garlic and ginger to a mini food processor and pulse until it resembles a thick sauce. Spray a frying pan over a medium-high heat with cooking oil spray. Add the kale slaw and carrot and fry for a couple of mins. 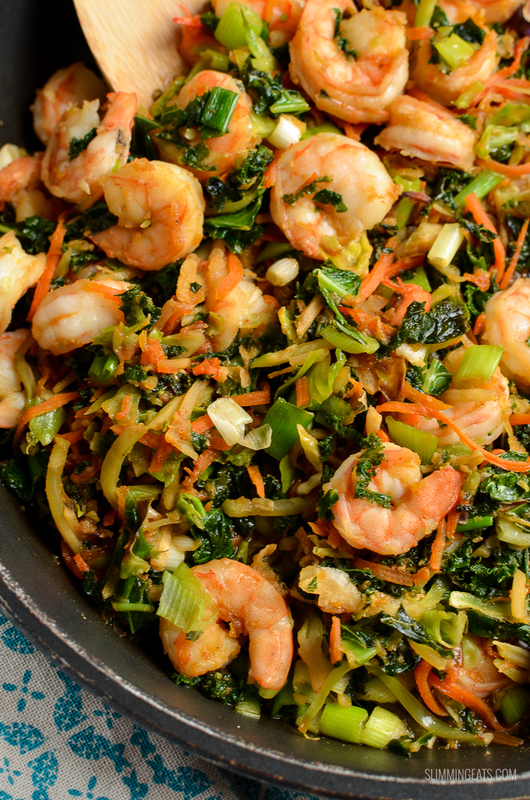 Add in the prawn and sauce and continue to stir-fry until the prawns are cooked.